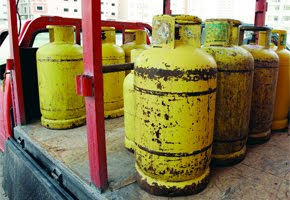 Strict punitive measures have been taken against 43 cooking gas distributing establishments in different areas of Dubai for violating safety norms in dealing with gas cylinders and endangering lives of the public. The gas agencies were found not adhering to the public health security requirements and regulations to prevent disasters, during a safety inspection drive carried out by the Dubai Municipality (DM) inspectors in about 144 gas distribution companies, according to an official. Sultan Essa Al Suwaidi, the head of the Public Safety Section in the Public Health and Safety Department of the DM, said that each of the errant gas distributors was imposed a fine of Dhs1,800 for not complying with the conditions implemented by the civic body. “The establishments that supply and install cooking gas cylinders in the emirate should ensure easy and effective maintenance operations, and provide full security to prevent incidence of leakage,” he added. “The regulations also enforce on provision of dedicated storage facility for gas cylinders made of non-flammable materials, storing cylinders in an upright position all the time inside the devoted cabinets and not storing any other materials within the place dedicated to keeping gas cylinders,” pointed out Al Suwaidi. According to him, the gas distribution establishments should provide valid and appropriate fire-fighting facilities in their gas cylinder storage areas. Al Suwaidi said that using lighters and match boxes at gas cylinder storages should be avoided, while checking a gas leak, instead water and soap can only be used to make sure about such incidents. “The gas used for cooking purposes is a petroleum product, which is composed of a mixture of butane and propane and this mixture does not have a smell. But for the safety of users, a material with a strong smell is added so that it is easy to find out if there is a leak,” he noted. “Transfer of gas from one cylinder to the another also must not be allowed, as it could lead to explosion and endanger life. Using a cylinder for any other purpose such as climbing on it to reach a high place or putting so many things over it is also restricted. The customers should ensure that there is no flame or open fire while changing the gas cylinders,” he elaborated. “It should be made sure while using the gas, that there is no leakage by using water and soap foam. Using flame or match stick to make sure there is a leak is not entertained as it may threaten the lives of users and others. It’s also recommended to avoid putting gas cylinders inside the kitchen, instead it could be preferably placed in the balcony,” explained Al Suwaidi.